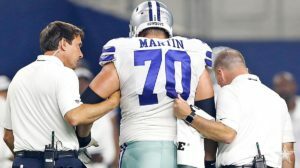 When the Cincinnati game ended our major concern was the injury to Zack Martin. Little did we know about that moment about Travis. 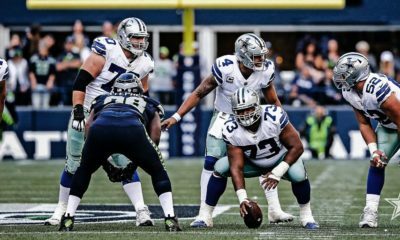 We got devastating news yesterday on the health of Travis Frederick. He’s been diagnosed with Gullain Barr Syndrome which is a rare neurological disorder that attacks the nerves. Approximately, 20,000 people a year are diagnosed with this. Supposedly its been caught in the early stages and the best opportunity for treatment. From what I read medically about this, there is no absolute cure. I’d hope we take this seriously for Travis is in for a battle. The best hope is that it can be controlled and minimized. His quality of life is of utmost importance. Travis spoke of his battle yesterday and said that after two treatments that he was feeling stronger. He hopes to return this year, but frankly there’s no guarantee. We need to pray for him first and foremost in his battle that can be significantly debilitating to a person. From a team perspective, he’s been the CEO of the offensive line, so its a major loss for the unit. I’m sure when we saw Zack go down on Sunday night, that we held our collective breaths. It appears to be a hyperextended knee, which occurs when the knee is pushed backward. Its just short of damage to ligaments and cartilage. Minimally its a 2 to 4 week recovery. He may be back for opening night but then again, maybe not. The strength of this team is, was, supposed to be the blocks of granite of the offensive line. Here we are in the preseason and there’s a fair amount of uncertainty to their return. Zack has a target of the opening game against Carolina. Same can’t be said with Travis. While the healthy offensive starters are the best in the game, depth is still an issue. Thankfully, Joe Looney has looked solid at guard and serviceable at center thus far. We’re banking on Fleming as the swing tackle, given his experience in front of Tom Brady. How many of you are clamoring for Chaz Green to make the 53? Sadly, he’s just lost after that debacle against Atlanta. Not many blinked with the loss of Marcus Martin at guard, but at least he’s had experience. Now, we need Kadeem Edwards to make us feel comfortable with a warm body at guard. Have to be looking for another guard after the cuts from 90 to the 53 to fill the needs on the line. You can add La’ell to the gimpy now as well with a heavily taped ankle. Not a good thing for a 300 pound lineman. The injury to my 2017 Pet Cat, Xavier Woods hurt considerably as he was set as the opening game starter. The team failing to pull the trigger with Seattle, is very telling in their confidence that Woods is their free safety of the future. 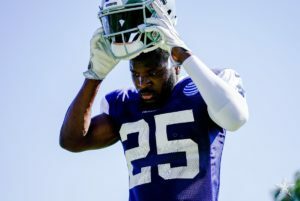 Is he going to be the equal of Earl Thomas? Not likely, but he can be very good. The play he got hurt on was the exact play we all wanted and needed to see from him. Could he cover sideline to sideline and make plays on the ball in those situations? That one play, showed the coaches and us that he can do that. 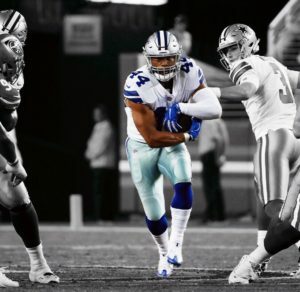 What some may not realize when trying to analyze why he was installed in OTA’s as the starter for this year, was that he knows his assignments. He’s in the right place and the coaches trust he’ll be were he needs to be. There are those who question not hearing more of him from camp, but our offense isn’t typically one that goes vertical, so fewer opportunities to see him in action. Xavier’s injury while considered day to day, is likely two to four weeks or more. I’d say its unlikely he’ll be ready for game one. I sent him a tweet after the injury and you can see Xavier’s reply, that speaks volumes! You have to feel bad for Jameel Showers, who’s been a good soldier. 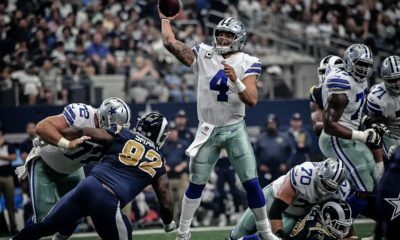 In 2016, it was him or Dak that were being eyed taking over for the injured Romo & Moore. They then turned him into a safety and he’s been on the practice squad for what seems like forever. The teams had to reach out and find a few guys to fill in the reps here in camp. The injury list is growing and exposing depth at several positions. We’ve seen little or nothing thus far from Noah Brown nor Deonte Thompson at WR and Beasley was out until this week. Our draft pick at WR, Cedric Wilson is gone for the year. Our linebackers, well at least the healthy ones have looked really good, but Kyle’s been nursing his injury and Covington is trying to work his way back from an illness. The two rookies really needed the work. KVE makes the 53 of course, but I was hoping for Covington to be that nice depth player down the road. In their place Thomas most of all, and March-Lilliard have played well, making the decision on the rookie a tough one. The follow up to the Cincy game was that our starters looked good on both sides of the ball. Rod Smith did a nice job taking Zeke’s snaps & my 2016 Pet Cat, Darius Jackson, put himself into the conversation for #3 RB. DJ shows speed, agility, really good hands and a nice route runner. We have to be impressed with Michael Gallup who looks really smooth out there. He has a chance of being better than the average rookie WR in this league. The elephant in the locker room remains to be TE, Rico Gathers. Just when you wonder can his athleticism carry him beyond his struggles to grasp his assignments, he makes a play that has everyone shaking their heads in amazement. The pass looked destined to be picked off, but it was Rico who snatched the ball from the defender. Schultze should be the natural third TE, but he’s not been all that impressive, making the assessment on that spot almost a toss up. Still think the team leans toward the rookie. Check out this play by Rico and you can see his strength and ability to make tough plays. 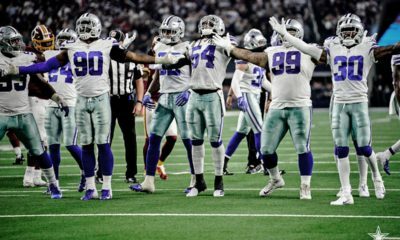 The starting defense the other night, gave me serious hope that we may finally have that defense I’ve been waiting for. Lawrence has elevated his game to another level as it appears, he’s bigger, stronger, faster. The young guys around him are following his lead. Taco’s looking better, but I expected that from him based on his history as a relative newcomer to a 4-3 scheme. He’s certainly being pushed by Dorrance Armstrong. Perhaps the best feel good story to this point is Randy Gregory. He looked quick and stronger than I remember. He got ten snaps and it was good for him to knock some rust off. Before camp, he was a long shot to make the 53 in many eyes. Now, he appears to be a lock and be counted on to be a vital contributor in obvious passing downs. The defensive surprise in camp has to be Antwuan Woods and it couldn’t be at a better time. He’s taking a firm hold on the DT position at the “1”. Maliek will be returning to practice shortly and may make the opening game. There should be a great deal of measured excitement on the play of Jaylon Smith. I liked what I saw in camp last year and he’s a dramatically more fluid player, who’s making far better reads and closes with a burst. I’m living some Joe Thomas, who brings experience, speed and his own closing burst to plays. Showing a knack for turnovers, something this team so desperately needs. That leads us to the pick by Chido, which was exceptional and one we may not see again for awhile. But if you can do it once, well, there’s a chance you can do it again! Chido and Byron have looked really strong in the running game. Whether they’re making the tackles or forcing the runner back toward the middle, their work is top shelf quality. The Woods injury forces the team to move Heath to his spot. Heath is best as the down safety, who’s really good at reading and getting to the spot in a hurry. I’m good with our starters and several of the back ups who can step in, but we’re getting to the point of being razor thin in positions noted above. Currently down two All Pro’s and other starters isn’t how we want to go into Carolina. 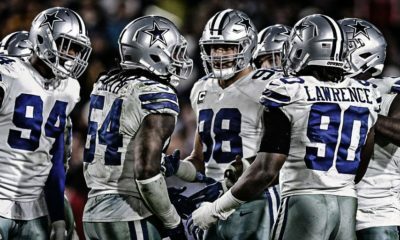 There’s no crying in the NFL, but we’ll need guys to step up when called upon if the seasons going to be anywhere near where we expect to be. Final notes are one positive that Gil Brandt is up as a HOF candidate as a contributor to the game. A long deserved honor and shocking that its taken so long to happen. Can’t think of anyone else that had such a long run of playoff success as Gil. 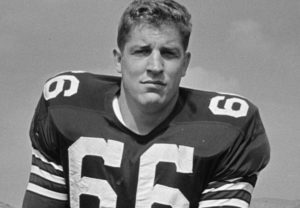 The sour note, is the loss of an exceptional Cowboy player from the early 60’s, George Andrie. He started his career the year I became a fan, in 1962. Naturally, the big name on defense then was Mr. Cowboy, Bob Lilly, but if #74 wasn’t making the play, you could bet that it would be George that came up big. When a big sack was needed, you could find him wrapping up the QB. I recall hearing that one season, while sack stats weren’t kept back then, that George had 16 one year. Let that sink in and you can understand how good this man was. He was an All Pro five times, from ’65 thru 69′, the years that this team started to climb towards the top. He was there to help kick start the long playoff run for this franchise and a member of the teams first SB in 1971. The one and only SB that I worked in the press box back in the 70’s. Thanks for the memories, RIP #66! Preseason Game #2, Critical Night of Evaluations ….